Sarah Jones joined the Waverley competitive coaching team in 2015 and currently coaches our Development Squad 4 and ALP Limited Hours squads. Sarah’s most recent highlight is having one of her limited hours athlete’s qualify in ALP level 10 division to the 2018 Australian Championships, a great achievement considering less hours trained. Sarah has also had great success each year within the elite area where her teams have placed in the top two podium finishes at IL Challenge. Sarah has 13 years of coaching experience in New Zealand and Australia. Sarah recently travelled to the UK and spent a year of professional development; living, coaching and judging across various gymnastics clubs in the country. Sarah moved to Australia in 2011 and spent her first 3 years in Australia coaching at Mornington Youth Club as a part of their highly successful National level program. 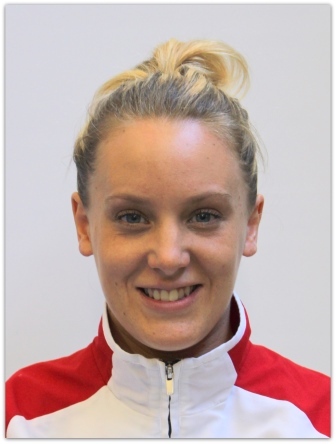 Sarah is qualified and registered with Gymnastics Australia, as well as both British and Scottish Gymnastics.